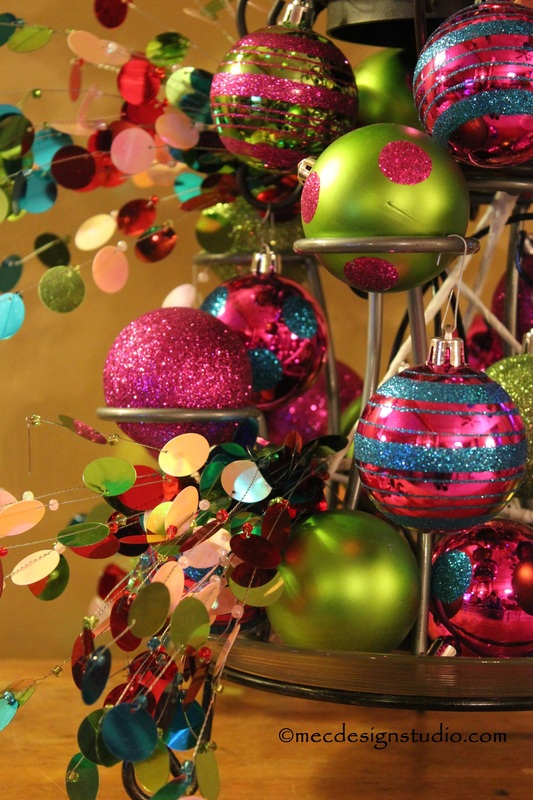 The big trend in holiday decorating this season is the use unexpected colors. 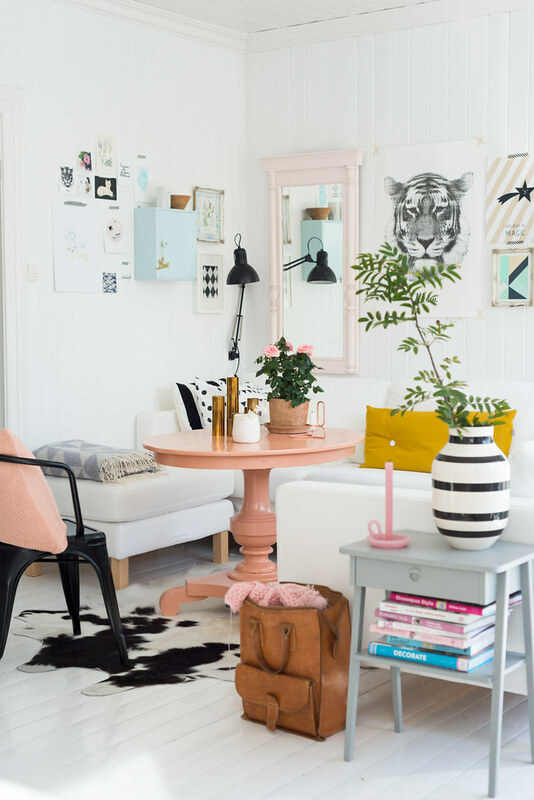 Bright, iridescent, almost neon tones are all the rage. If you have a small house or apartment, a large tree isn’t practical. 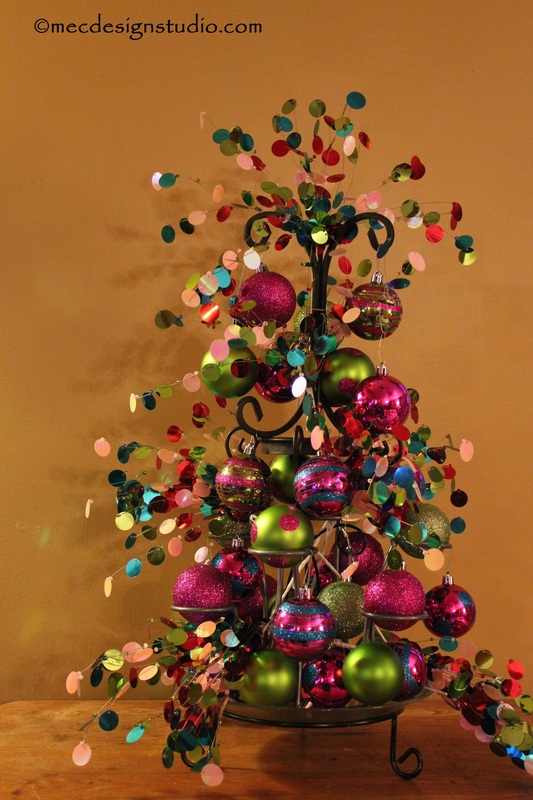 Instead of investing in a petite artificial tree, make your own! 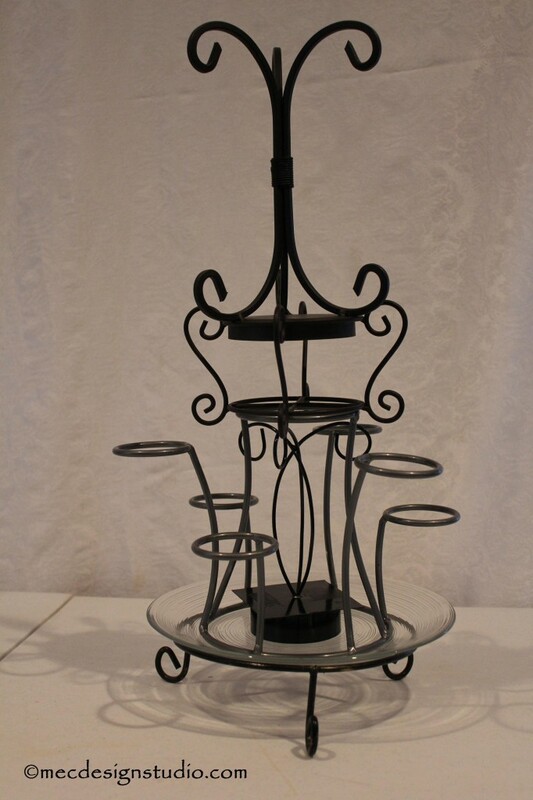 I created this one with stands found at Goodwill. Each cost between 99¢ and $2.99. 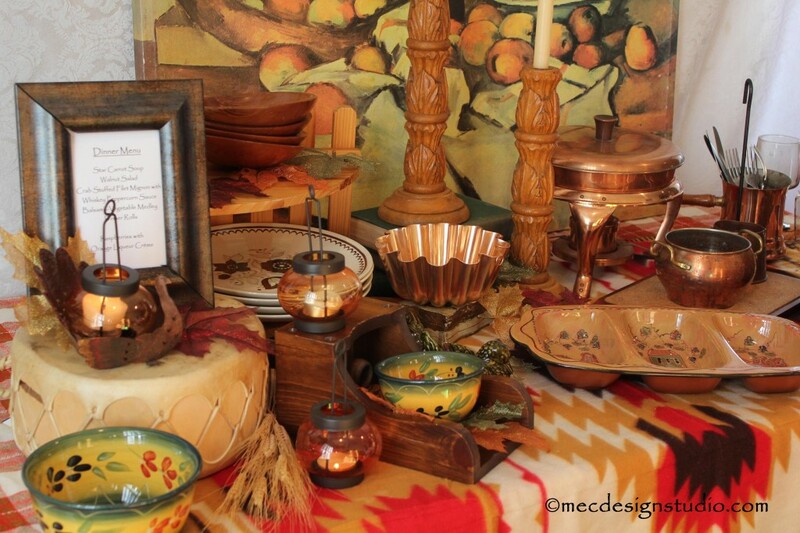 Look for candle or votive stands, dishes on a pedestal, platforms for fondue pots. 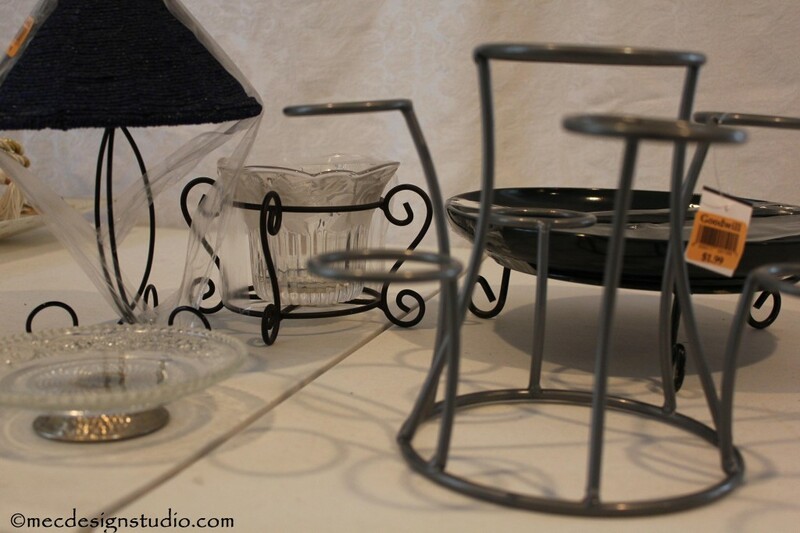 Any wire rack that has an interesting shape. 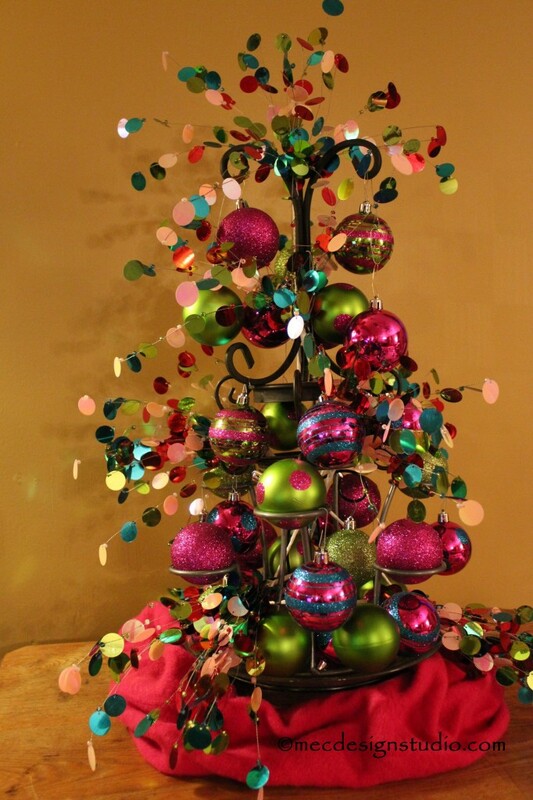 Start building your tree by placing the widest piece at the bottom. 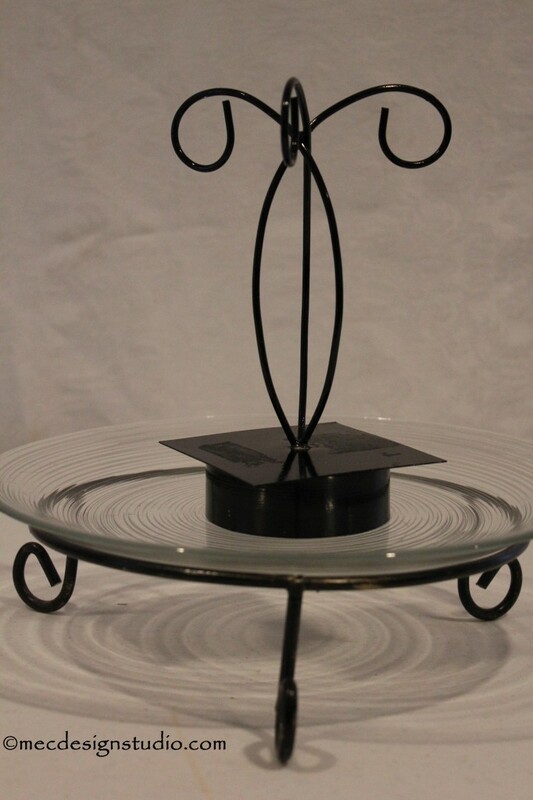 After you’ve created the perfect “tree” shape, hold it together with wire. 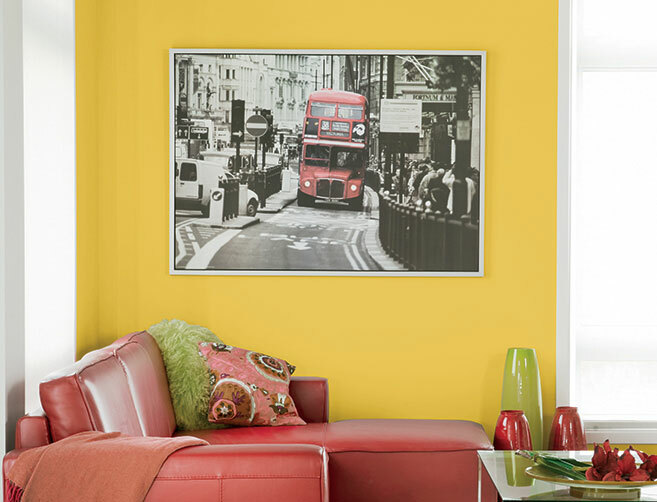 Spray paint the finished body in a color that will coordinate with your ornaments. All the pieces I found were black or silver so I skipped this step. 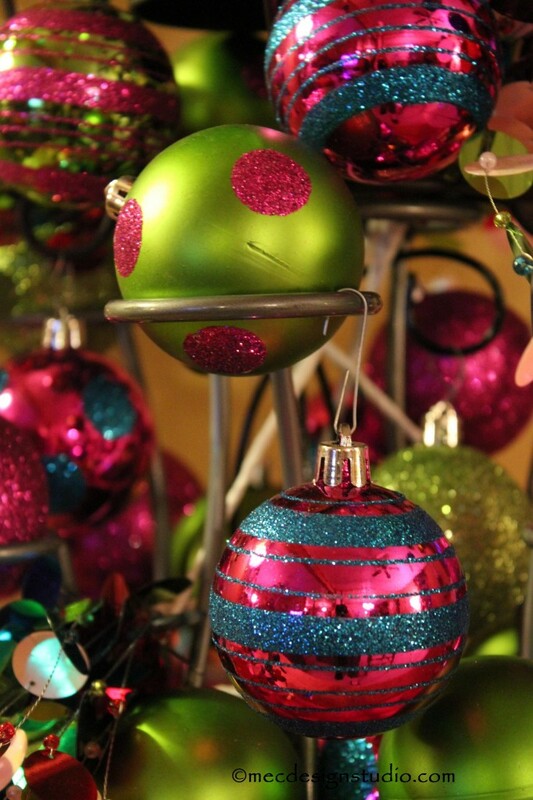 Hang ornaments from every “limb”. Set one on each opening and fill the plate at the base. Add as many as the stand will hold. In this case, more is better! I filled in the open spaces with confetti style decorative sticks. 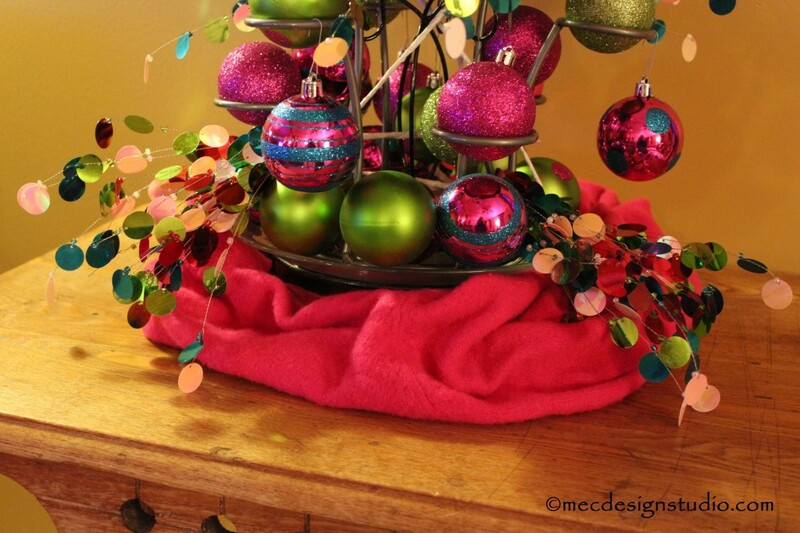 Instead of the usual tree skirt, I wrapped a piece of felted wool sweater in a matching pink around the base. 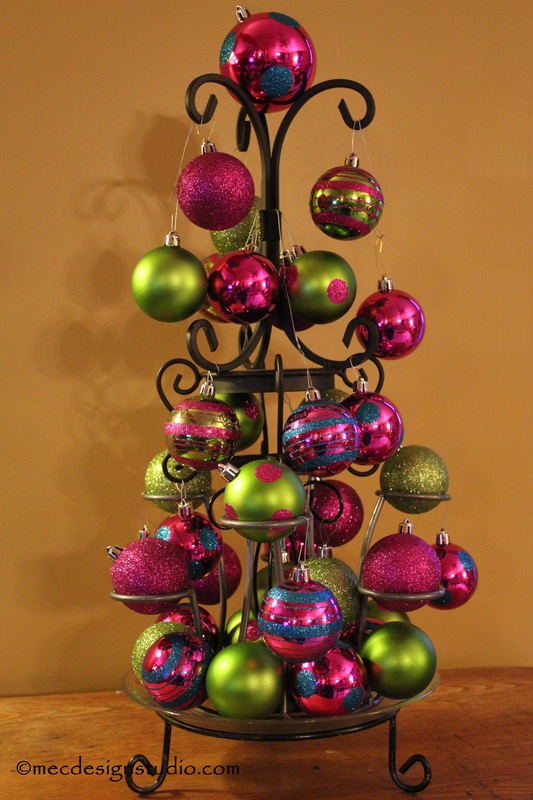 Hot pink and lime green may not be traditional Christmas colors, but you’re sure to hear a chorus of “Wow’s” from your guests. It really is a “green” Christmas tree!